The Associates are a diverse webring of people who have known each other for years. Included within this ring are The Summerlands, Native American, UFO, New Age, and Wiccan. Good bunch of folk! De Danaan is a Celtic friendly group of folks who are on the cutting edge of web technology. 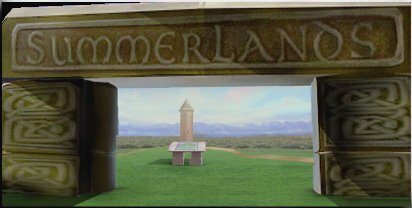 Their site has a lot of features that I will probably be incorporating here in The Summerlands. Visit them and see for your selves. 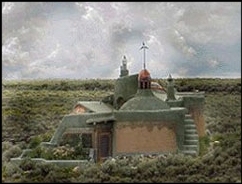 An Earthship is the most amazing home shelter we have ever encountered. Our dream is to have one... actually an entire community of them. They are rammed earth structures that require no connection with city services such as electricty and water/sewer. And these are the guys who invented them... accept no substitutes... these are the best. The Clann an Fhaoil Choin is a small family oriented clann in Fort Worth. They are very much into reconstructing and resurrecting the Old Ways of our Celtic ancestors. They are a wonderful bunch of people. Come, tread the paths of Avalon and sail to Tir na nOg. Join us in re-membering the Faery Faith of our Celtic ancestors. 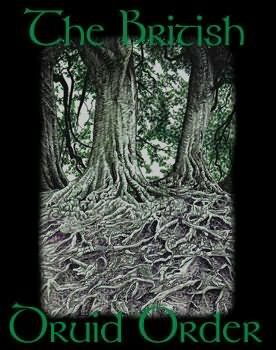 Keltrian Druidism is a spiritual path dedicated to revering the Nature Spirits, honoring the Ancestors, and worshipping the Deities of our ancient Irish ancestors. The Henge of Keltria is a nonprofit religious corporation dedicated to providing information, training, and networking to those who practice or who are interested in Keltrian Druidism, Druidism in general, and the evolution of mind, body, and spirit through a Celtic Irish context. 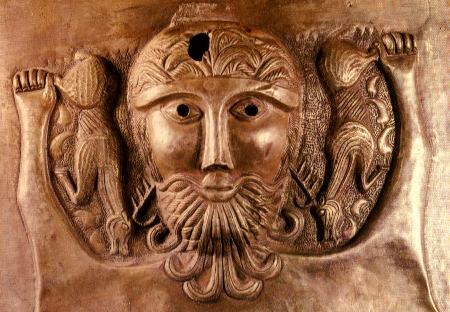 For additional information about The Henge of Keltria and Keltrian Druidism, please see more about us. This website contains materials by and about Isaac Bonewits and my topics of expertise: Druidism, Paganism, Witchcraft, magic(k), liturgical design, polytheology, and polyamory. It includes updated versions of many of my writings now floating about the Net, excerpts from current and upcoming books, song lyrics (serious, silly, bawdy, and invocatory), curmudgeonly rants about Satanists and other Christian Fundamentalists, and other items to educate, enlighten, annoy and/or amuse. This is an archive site, so “old” items are numerous. 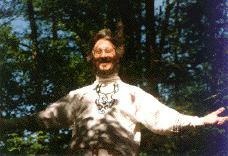 The Mother Grove of the British Druid Order (BDO) was formed in 1979 as part of a personal quest to recreate a native British spirituality. The Order is currently under the guidance of founder, Philip Shallcrass (Greywolf, aka Wolf Walks With Fire) and Emma Restall Orr (Bobcat) as joint Chiefs, their role being that of facilitators and guides. Philip is a musician, artist, poet and writer. Emma is a writer, teacher and soul counsellor. Both lecture and present workshops on many aspects of Druid tradition. Both have links with other Druid groups in Britain and overseas. The Order also works with other faiths and traditions, finding common cause and common sources of inspiration with those who follow other spiritual paths. Philip and Emma have wide practical experience in numerous magical, mystical, spiritual and shamanic traditions, all of which they bring together in the BDO to create a unique brand of pagan Druidry. The BDO works with native British tradition. The term `British' is used not in a narrow political or nationalistic sense, but to evoke a time when the two islands of Ierne (Ireland) and Albion (England, Scotland and Wales) were jointly known as the Pretannic Isles, from the Pretani, `the Painted People,' who were our spiritual and physical ancestors. This name for our islands was first recorded circa 500 BCE and the modern name of Britain derives from it. It thus spans at least 2500 years of our history. No Advertising: Witchvox is a truly free community resource. We don't sell products, shake you for cash, or work any 'side deals' with Pagan Vendors. Witchvox has been "Ad/banner free" for over 5 years. 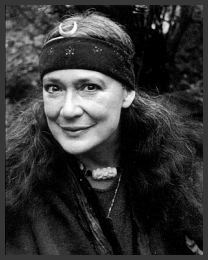 Herbal Medicine and Spirit Healing for Wise Women and Green Witches. Natural alternatives for women with health concerns including: menopause, osteoporosis, pregnancy, fertility issues, breast health and cancer prevention. Hundreds of woman-friendly links, a forum to share experiences and lots of information about Susun Weed - herbalist and author of women's health books - workshops, intensives, apprenticeships, and correspondence courses.